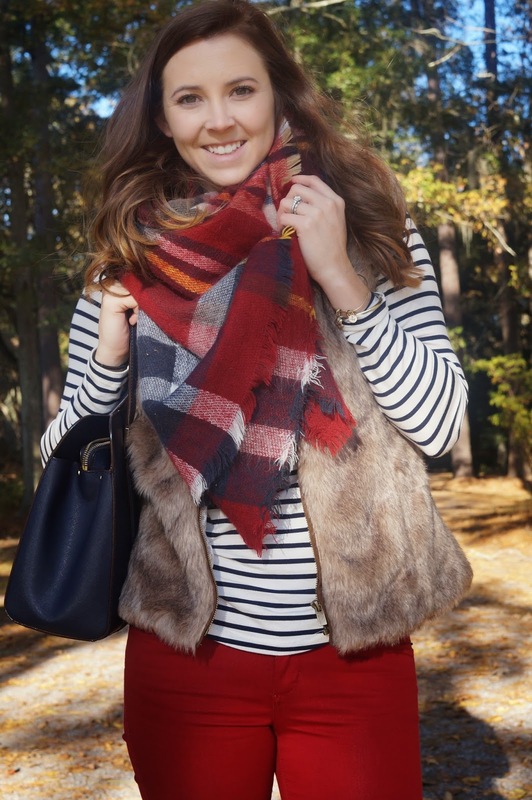 I'm linking up with White Coat Wardrobe for Three-fer Thursday to share one of my favorite fall colors, cranberry. I got these colored skinnies from a great boutique in Blowing Rock and have them in green and cocoa brown. 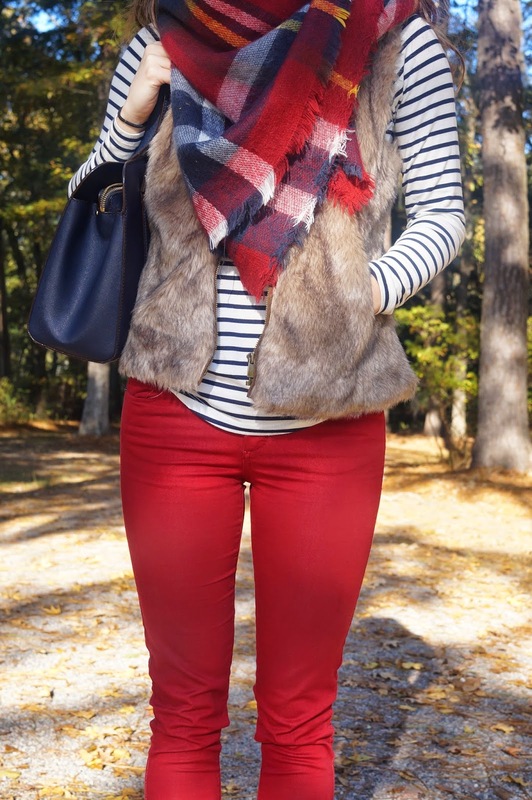 I love how I can mix and match any plaid in my closet with them and throw on a vest to put it all together. I'm also enjoying this stretchy turtleneck that offers comfort and warmth!